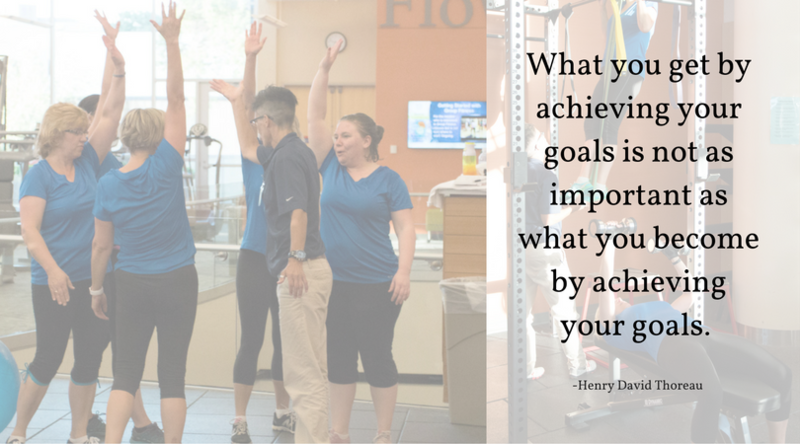 After getting over the hype of ringing in the New Year and possibly some new resolutions, how do we stay motivated? Although difficult, it takes several weeks to a couple months to form a new habit, and we have to admit that we won't always succeed from day to day, which is okay and normal. However, if we truly want to make a change or form a new habit, we need to plan ahead and stay positive so that we set ourselves up for success. Therefore, let's examine some ways that can help us stay committed to our goals so that we can establish long term positive habits and, consequently, build self-confidence. One of the first questions to ask yourself once you've decided on a goal(s) is why you want to make that change. What made you want to change this part of your life, and how could it positively impact your future? This is a good time to reassess if this is an appropriate or realistic goal. Perhaps you need to modify the goal so that it's more reasonable and/or enjoyable. Secondly, who could be your accountability person that helps you stay in line with your goal? Perhaps they have a goal too, and you could keep each other accountable. It's always easier to achieve your goals when you have someone with whom you can talk about it and act as a cheerleader for one another. Have a plan. If it's eating healthier or exercising 3 days a week, think about ways to make it easier to stay committed. For example, pack your gym bag and/or lunch the night before, have your workout clothes already sitting on the dresser, meal prep on the weekends, schedule relaxation time for yourself, journal about your day or keep track of when you exercise or what you eat. Not motivated to be this organized?...check out different mobile apps that help you stay in line and on schedule, such as Lift and Irunurun. Don't know where to start? Consider a wellness consult so that you can have some direction on how to devise a plan and then follow through with it. Accept failure...sometimes. Since no one can achieve perfection, you need to be kind to yourself and realize that some days are going to be better and more successful than others. Perhaps you went to 2 birthday parties in a weekend and had some cake when you've been so good about staying away from the extra sugar. That's okay. Don't feel the guilt or shame. Decide to show yourself grace, being thankful for that treat and then plan how you will be more proactive today. Have fun with it. Try not to view your goal(s) as a "have-to" or obligation all the time. If possible, try to see it as a fun challenge or game. This is especially helpful if you have a friend or companion supporting you. No comparing with others. If your accountability partner is losing more weight or being more strict with their regimen, don't fret. You are your own competition, and that's enough. We have too much to keep up with, so break your personal records without focusing on others' achievements. Have cheat days...on purpose. Loosen the reigns a little, and treat yourself every so often. First, it creates anticipation for the treat, and it always seems that much sweeter when we indulge sparingly, whether that's eating, exercising, spending, etc. Strike a balance. It will take a while to find your happy medium and get into a routine, but once you do, stick to it. Find that position where you are satisfied, confident in maintaining the habit and not feeling deprived. As the old adage goes, "everything in moderation." Give yourself a solid high five or pat on the back! You are working hard,and you are strong enough to achieve this goal, no matter how long it may take. You've got this, and the DAHLC is here to support you and cheer you on!